For nearly 10 years, GNPDR’s chaplains and volunteers have been going into correctional facilities, sharing the good news of Jesus Christ with those behind bars, and offering the hope of true transformation. 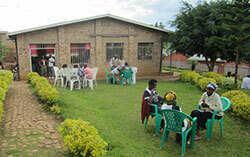 Through the use of Bible-based programmes such as evangelism, discipleship, counselling, healing and reconciliation, etc. thousands of lives have been changed, hope is being restored, and darkness is being replaced with the light and the promise of a brighter future. GNPDR seeks to restore those affected by crimes and incarceration by introducing prisoners, victims, and their families to a new hope available through Jesus Christ. By nurturing a growing Christian community inside Rwanda’s prisons, as well as equipping churches and communities to welcome those men and women home once they finish their sentences, restoration and healing can begin. To accomplish this, we train and inspire churches and communities—inside and outside of prison—to support the restoration of those affected by incarceration. 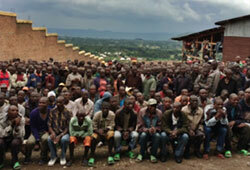 The primary purpose of GNPDR is to place trained mature Christian Chaplains into Rwanda’s prisons with responsibility of sharing the gospel with inmates, conducting Bible classes, and Counseling, resulting in healing, repentance, forgiveness, and reconciliation. 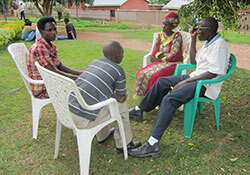 Realizing that almost everyone who is in prison has offended one or many community members, our program of peace-building and reconciliation seeks to help prisoners go through the process of healing, repentance, reconciliation, and restoration; and victims through the process of healing, forgiveness, and reconciliation. This program has made it possible for the prisoners to meet with their victims to ask for forgiveness, and many victims have been able to extend forgiveness and reach reconciliation. As men and women prepare to leave prison and return to their communities, GNPDR seeks to assist prisoners by providing basic life-skills training, marriage and parenting classes, and other programmes to help them be successful in their new lives on the outside. 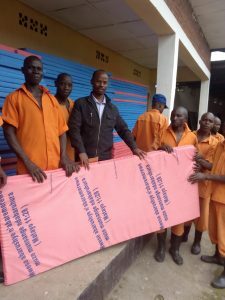 The project aims to supply mattresses for about 35,000 vulnerable inmates in the next 5 years. The project will benefit prisoners by getting something to sleep on, genocide survivors by earning some income through making the mattresses’ covers, and the ministry of GNPDR by getting more opportunity for ministry to the needs of inmates. The project is designed in a way that will promote reconciliation process as the genocide survivors are making mattresses that will benefit the genocide perpetrators. This has a special message to both sides.